Building Information Modelling (BIM) standards will make BIM a game-changer in the traditional building ecosystem, says principal expert at Siemens AG Building Technologies Division, Wolfgang Hass. Siemens is pushing for BIM standards because the only chance for the industry to step into the digital world is by having a common understanding of the subject and by working on standards, says Wolfgang. “There is a strong need to make these changes because the building industry is far behind other industries in terms of adopting digitalisation. Unlike other industries, the building industry is heavily compartmentalised with each discipline or branch doing their own thing – the electrician has his electrical work and the painter does his painting job,” he says. The goal needs to be a good building and not profit in order for the process to be successful. Instead of all the relevant players working within their own silos, everyone needs to work together to really look at the complete lifecycle of the building. “For years now, we have been doing a lot of optimisation of different disciplines, but at the end, we are more or less doing optimisation in a box. Even if everyone were to optimise their box, it wouldn’t create an optimised building,” says Wolfgang. Digitisation has led to a change that Wolfgang calls “BDC” or “better design and construction”. The design of buildings is done virtually in parallel with all the other disciplines that are being coordinated at the same time. The two phases of a building – namely the virtual building and the physical building – is now being termed as the “digital twins” of the industry. “With the virtual model, simulations can be done and changes made in a timely and very cost-effective way. Once the building design meets all the parameters, it moves to the physical construction phase – the second part of the digital twins. No car manufacturer would start manufacturing a new car when the design and pattern are ready. In any industry (except the building industry), planning is completely, or at least 99 percent finished when they start the physical job,” explains Wolfgang. A lack of coordination, collaboration and overlap in the design process is currently leading to challenges. The electrical designer, for example, needs to have an open line of communication with the security designer, and players all need to work on the same set of drawings as a group so that the entire process incorporates the various engineering disciplines. “While the building industry isn’t currently well prepared for the future, BIM presents a great opportunity for these digital twins work in the virtual. This will also mean buildings will be constructed with products built on innovation and not necessarily the cheapest rate, helping to change the industry for good,” says Wolfgang. According to Wolfgang, the people who really benefit from the digital twins and BIM approach are the ones who are responsible for the operational phase of the building. “The operational phase is the phase that accounts for 80 percent of the building’s lifecycle costs. A dollar not spent in the design phase will cost you $20 in the operational phase. If those doing the operational phase could invest $1 in the early phase, they would love to do it,” says Wolfgang. “Unfortunately, most buildings where this would make an impact are office complexes where the operators are not really concerned about keeping operational costs low for their tenants. Not surprisingly, most of the BIM projects today are hospitals where operational costs matter. 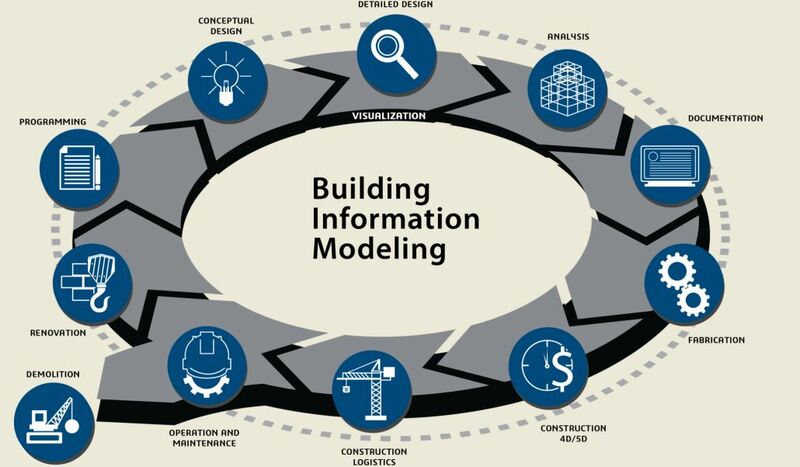 Essentially, BIM is much more than data modelling,” concludes Wolfgang. For more information, visit www.architectureanddesign.com.au, to which full thanks and acknowledgement is given.